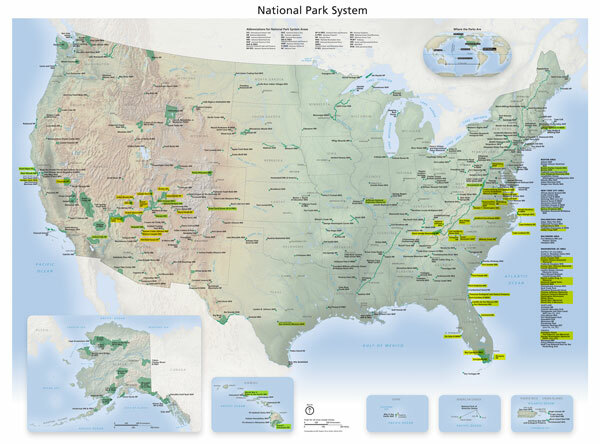 My family is crazy about National Parks as we continue our quest to visit 100 National Park sites as a family by 2020. And while we are well on our way towards achieving our goal (currently at 59 units visited), I have already personally visited close to 100 National Park sites. 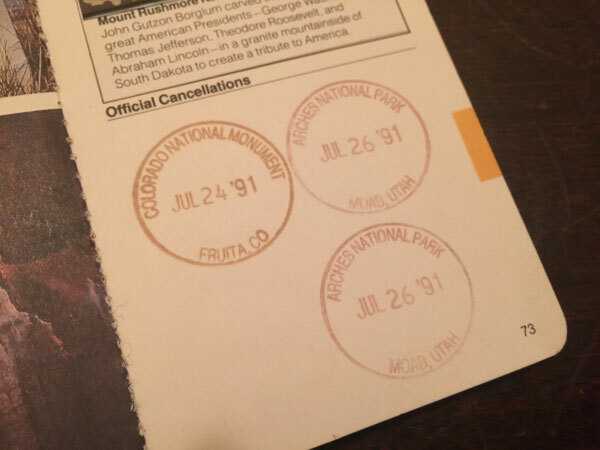 In 1986, my parents bought me my National Park passport. I grew up in a suburb of Philadelphia—not too far from Valley Forge National Park. 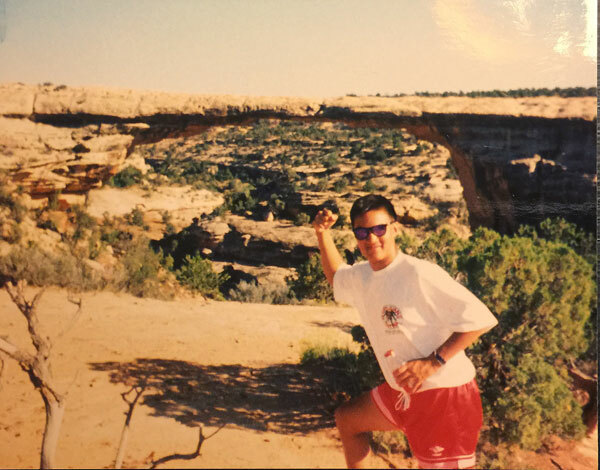 But my exposure to National Parks as a kid was not limited to nearby National Park units like Independence Hall or the Liberty Bell. My family did quite a bit of travel around the country and the National Park Passport was a great way to track my visits. When my kids were young, while my family visited Yosemite National Park, my parents purchased National Park Passports for my kids! Of course the conversations led to the passport that I had as a kid. The problem was I did not know where it was. I thought it was lost. I was so excited last year when my dad told me that he found my National Park Passport from my childhood! My passport has many stamps including my trip to the amazing National Parks of the Colorado Plateau including Arches National Park. Here is a picture of me during that trip! I love that I have stamps from 25 years ago to relive the amazing trip my family took in 1991. Now, as a father, I am excited to that I brought my family on a similar path last summer to the same places! Click here to read about our Epic Southwest National Park Adventure! 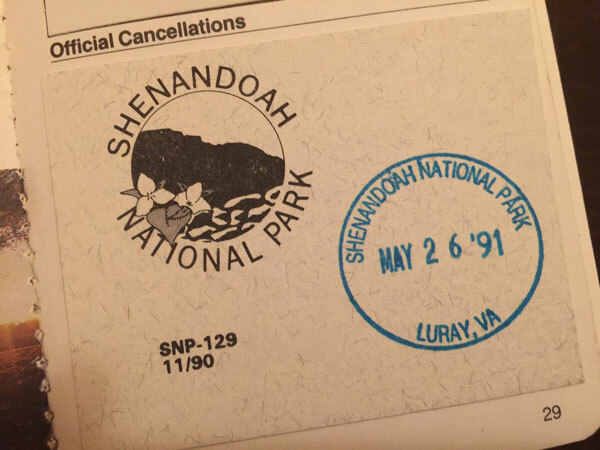 When looking through my passport I discovered that I also visited Shenandoah National Park. I did not remember that I visited that park but am excited to visit it again next month! Click here to read about our itinerary for Shenandoah National Park! 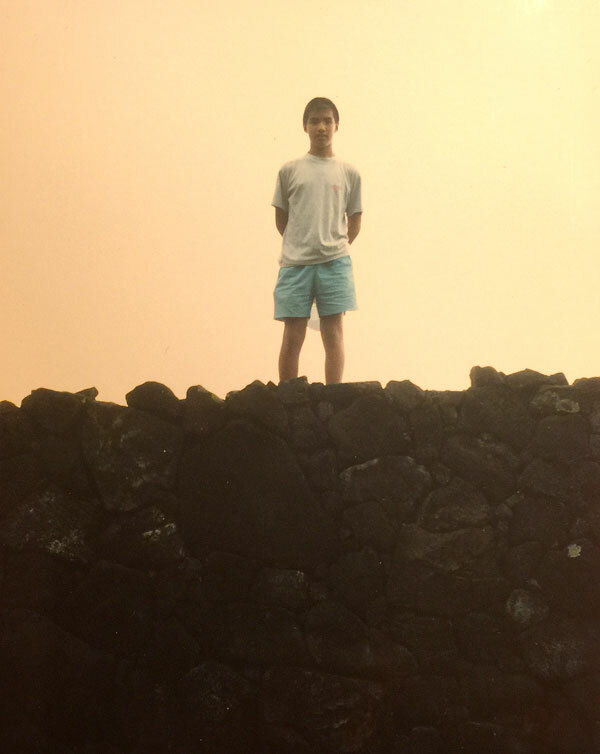 I also found pictures of me from our family’s visit to Hawai’i Volcanoes National Park in 1986. 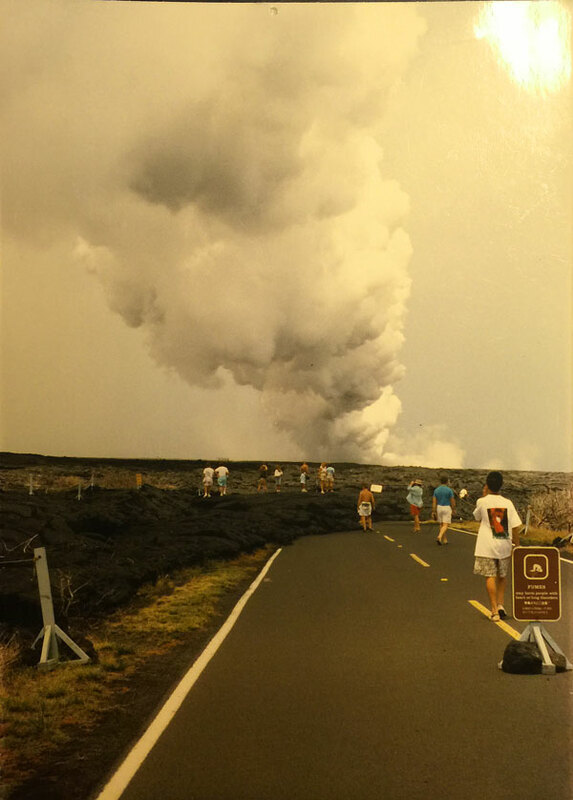 I can still remember walking along this street and seeing the lava flow cross the street and the steam rising up from the Pacific Ocean from where lava was hitting the ocean water. 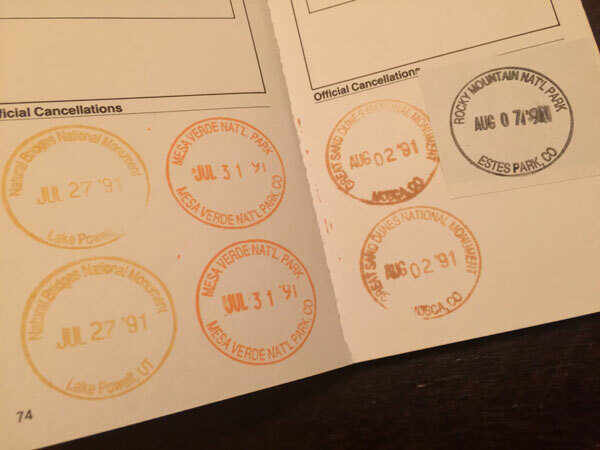 I have been collecting National Passport stamps for 30 years! It is an amazing thing to be able to type that. This past week I joined an online community called The National Park Travelers Club. It has a vibrant community of other National Park geeks like my family. One of the members of the National Park Traveler’s Club made this cool map that you can customize to show which National Park units you have visited. This inspired me to complete the map for myself. The National park units highlighted in yellow are the ones my family have visited. The ones marked in green are the additional ones I have visited. The National Park Passport Program is a great way to keep track of your National Park visits. It is also a great way to remember the amazing trips you’ve had with your family. You can purchase your very own National Park Passport online here or at any National Park gift shop. You can also download the FREE National Park Passport app. 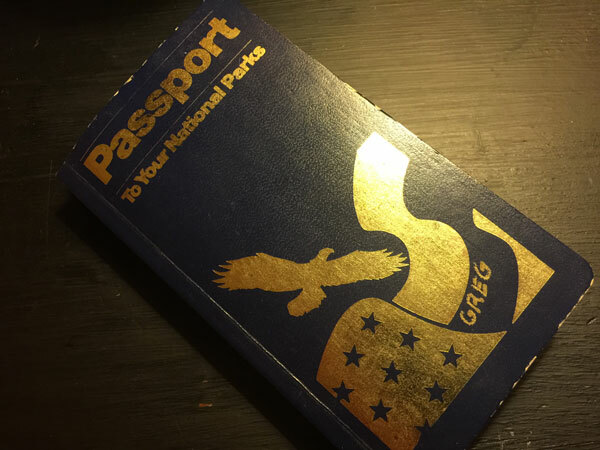 Do you have a National Park Passport? How many stamps do you have? Let me know in the comments. I love the national park passport and stamps. It’s a great way to remember my travels with my family.